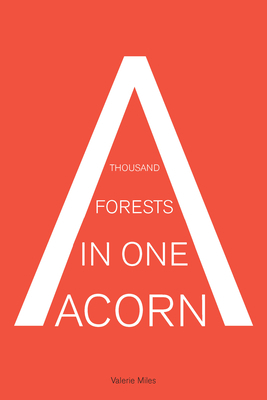 A Thousand Forests in One Acorn: An Anthology of Spanish-Language Fiction brings together twenty-eight of the most important Spanish-language writers of the twentieth century--several of which will be familiar to English-language readers, like Carlos Fuentes, Javier Mar as, and Mario Vargas Llosa, and many who will be new revelations, such as Aurora Venturini, Sergio Pitol, and Elvio Gandolfo--and provides them with a chance to discuss their careers and explain the aesthetic influences behind the pieces they chose to include in this volume. Unlike other anthologies, the stories and excerpts collected here were selected by the authors themselves and represent the "high point" of their writing career. Valerie Miles--translator, editor, and co-founder of Granta en espa ol--not only curated perhaps the greatest cross-section of contemporary Spanish-language literature to be anthologized, but also brings to this collection original interviews with every author, along with biographic prefaces before each, in order to best introduce the reader to the author's entire oeuvre and his or her literary impact. Breathtaking in scope and historical detail, this anthology will no doubt become a fixture in personal literary collections, as well as a go-to resource for classrooms and libraries alike. Valerie Miles is a publisher, writer, translator, and the co-founder of Granta en espa ol. She is also the co-director of The New York Review of Books in its Spanish translation and, in 2013, was voted one of the "Most Influential Professionals in Publishing" by the Buenos Aires Book Fair.